I am talking about airline tubing. It’s a tube…how much more do I need to know about it? What is aquarium airline tubing? What size is airline tubing? Which is the best airline material – silicone or plastic? Which is the best aquarium airline? When do you replace your airline? Well, you were probably too distracted by the fish to see it, but it was definitely there! To deliver air from your air pump to your aquarium. Think of an airline tube as a train track. Air follows the tube until it reaches its destination. The term airline refers to any flexible pipe that delivers air from your pump to your tank. 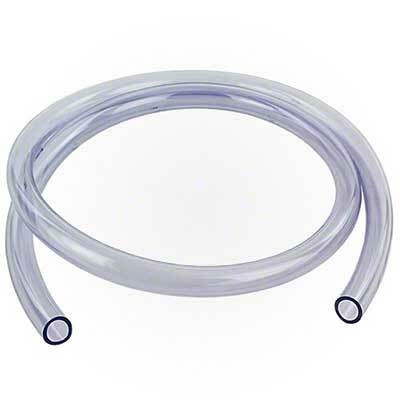 Airline tubing is commonly available in pet shops, fish stores or online. It is sold in rolls ranging from 8 to 50 feet in length – simply cut the amount that you need for your tank off the roll. FishLab Tip: When buying airline, always purchase slightly more than you think you will need. You can always cut the tubing shorter – there is nothing worse than coming home only to discover the roll that you bought is just too short. Beginners can also buy rolls of airline in a kit that also includes check valves and suction cup clips to keep the airline neat and tidy. 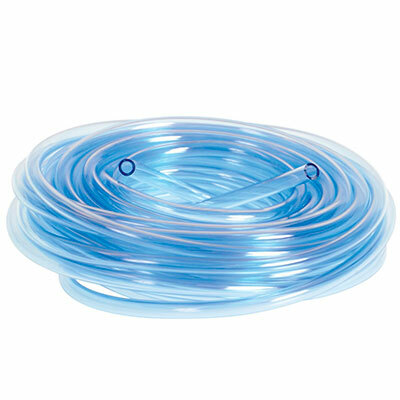 Unless you are going the DIY route, tubing for aquarium airlines comes in one standard size. This is a good thing. It means that if you walk into any fish store and buy an aquarium airline tube, then you can expect it to fit your equipment. When an air fitting lists the size of tubing it will fit inside, it generally refers to the inner diameter (ID) of the tube. The reason for this is that the outer diameter (OD) can vary according to the material that the airline tubing is made out of, especially for DIY projects. 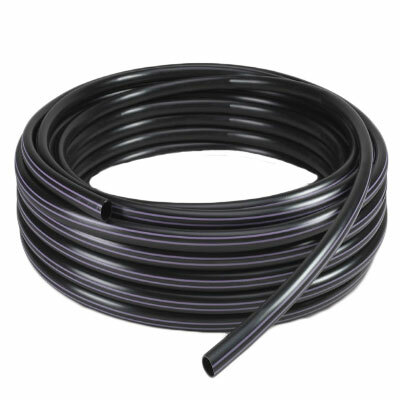 Rubber or silicon tubing, for instance, has thicker walls than plastic. FishLab Tip: Some types of airline flex to accommodate larger fittings. For example, more flexible types of airline with an ID of 1/8 inch (3mm) can stretch over a 3/16 inch fitting just fine. While aquarium airline tubes should be a standard size, I have seen cases where brand new tubing has been so loose that it falls off the air pump outlet. In these instances, it was generic tubing bought on eBay and shipped from overseas. It is for this reason that I highly recommend buying from only reputable sellers. Which is better airline tubing – silicone or plastic? 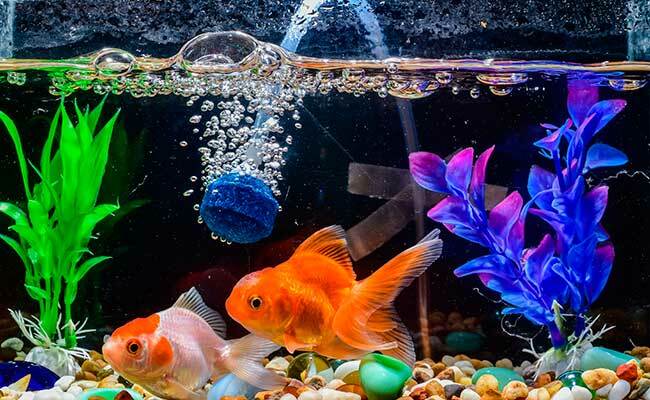 Well, the plastic they are talking about is typically vinyl, one of the most common materials used for aquarium airline tubing. As for appearance, I’d say vinyl is the winner simply because it is available in more colors. However, some people are put off by the glossy surface that can shine under strong lighting. Silicone, on the other hand, has a matte finish, which some find blends in better with their aquarium. In terms of usability, I prefer silicone. It is much more flexible, bends easier and will straighten out under the weight of a sponge filter or airstone. Vinyl is more difficult to shape and often kinks if you bend it the same way as silicone tubing. However, this can be overcome with the clever use of airline tubing connectors. I would also add that new vinyl tubing has a strong plastic odor that is very unpleasant, but it soon goes away. Silicone is supposed to have the advantage in that it won’t harden and turn brittle like vinyl tubing. Vinyl, however, becomes increasingly brittle and begins to crack as it ages. So all in all, it looks like silicone is the winner, right? I’ll be honest – my first two experiences with silicone were not great. I went with the cheapest option I could find, Top Fin and Penn Plax silicone tubing. At basically the same price as vinyl airline, how could I lose? I can say that both of those tubings went brittle and cracked just like vinyl tubing. While there is no arguing that the tubing was more flexible than the vinyl and would bounce back to its original shape, it just didn’t behave like silicone. And, it had that plastic-like smell. Silicone is heat resistant and often used in coffee machines and home brewing because of this. So, I decided to run an experiment. I aimed my heat gun at the tubing, and it became soft and misshaped. Pure silicone does not act like that. It appears that cheap aquarium silicone tubing uses some kind of hybrid vinyl/silicone mix – if anyone can clarify this I would love to hear the explanation. If that’s the case, I believe that it is disingenuous to put the words silicone airline tubing on the packaging. Since then, I splurged on this medical-grade silicone tubing, and I can say that this stuff is the real deal! It is incredibly flexible, easy to work with and high quality. While it’s too early for validation, it’s been sitting in my tank for a year now without any issues. Don’t get me wrong. I am 100% convinced I could find a happy medium between the cheap crappy “silicon tubing” and the high-end medical grade stuff – but after two bad experiences I thought I would go all out. If you have any suggestions for a high-quality yet affordable silicone tubing, I would love to hear about them! I have noticed a trend where many of the cheaper airline brands do not mention what material their tubing is made of. If this is the case, expect that it will be made from vinyl. 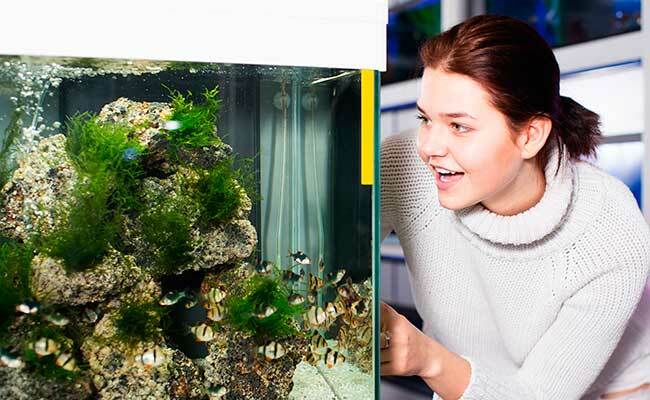 Whether you choose vinyl or silicone, both are more than capable of delivering air into your aquarium. But if you need tubing that is easy to work with, I recommend spending a bit extra and going the silicone route. Which is the best airline tubing? If you buy from your local pet store, then you will use whatever brand of tubing they keep on the shelves. But if you buy online, you have many more choices. From the same company that created the incredible Python water changer, their plastic tubing is good quality and affordable. This is what I used prior to making the switch to silicone – no complaints. If you have a dark-colored background on your aquarium, you might find that black tubing blends in better than clear tubing. At the end of the day, it comes down to preference – in all other areas, this airline performs identically to my previous pick. But if black is what you want, then Lee’s Sleek Black Tubing is as good as it gets. While I love my current medical-grade silicone tubing, I still feel that it’s more expensive than what most people need. As such, I am in the process of tracking down a silicone airline that is not only high-quality but also offers the best value for the money. This spot will be updated shortly! With continued use, your airline will eventually begin to show its age. This is particularly true of vinyl airlines. Fortunately, your air tubing will give pretty strong clues that it’s time to swap it out. 1. 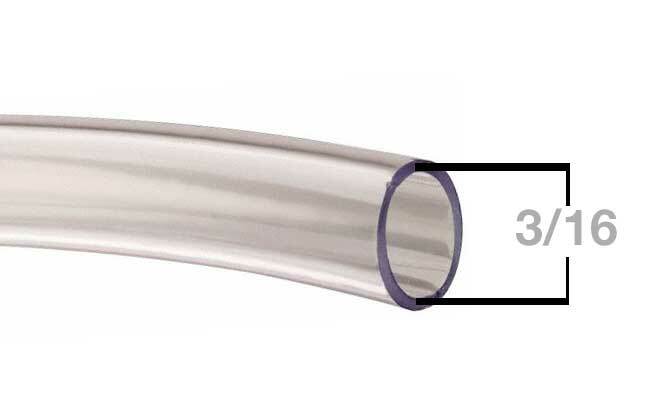 Discoloration: The length of clear tubing will turn a yellow or brown color. This will be particularly noticeable at the pump outlet and joints in the tubing. Don’t confuse this with calcium buildup – if you can scratch it off, it’s calcium buildup. 2. Stiffness: The tubing will begin to feel hard and lose its flexibility, especially at joints. 3. Flakes: The airline will show faint cracks on the surface or flakes of the tubing will begin to fall off. If the plastic tubing turns hard and brittle, it can crack at the joints or fall off the pump outlet completely. If you notice any of these warning signs, it’s probably time to replace your airline. Keep in mind that this process often takes years. But even so, I recommend occasionally checking to see how the tubing is holding up – you don’t want the airline to crack and leak while you are not home! Aquarium airline is so cheap that it won’t hurt to keep an extra roll on hand, just in case. Do you use airline tubing in your aquarium? Let me know in the comments below! Regarding unwanted bacteria, how often should you change the tubing? How much unwanted bacteria builds up in the tubing? Most hobbyists only replace their airline tubing when it becomes brittle, cracks or leaks – you know, things that would reduce air flow. I don’t consider the bacteria that builds up in an airline to be an issue, assuming air is constantly flowing through it.